Cooler Archives - Pebbles, Inc. Happy Summer, y’all! Amanda here today with a not so unusual story. Do you ever see something at the store and think to yourself, “I could craft the heck out of that?” Well, I was at the dollar store the other day buying a bunch of stuff that I didn’t really need, and when I saw these little, white styrofoam coolers, I had that very same thought. Although, like many other randomly acquired objects, I hadn’t the slightest idea of what I was going to do with it. Enter Pebbles’ Fun in the Sun collection. 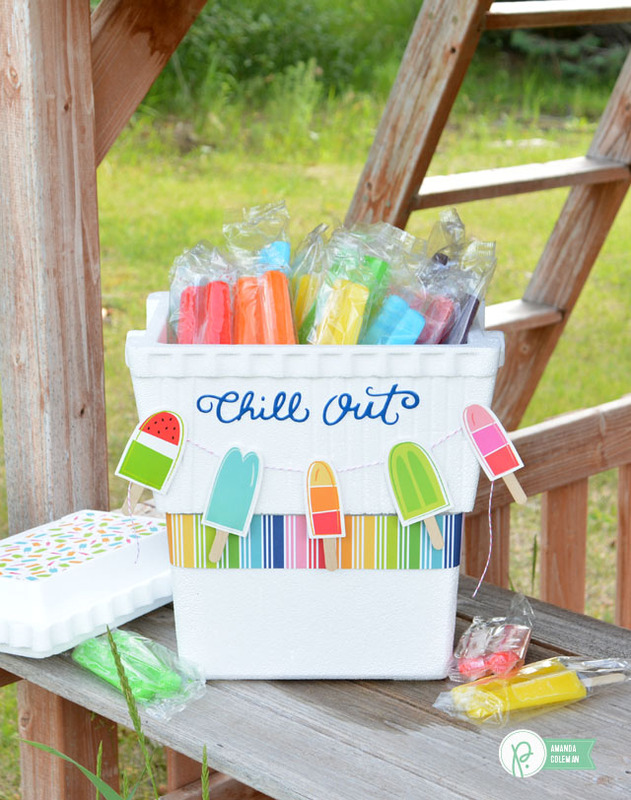 The bright rainbow colors and summer themes in this collection were perfect for decking out my little white cooler. 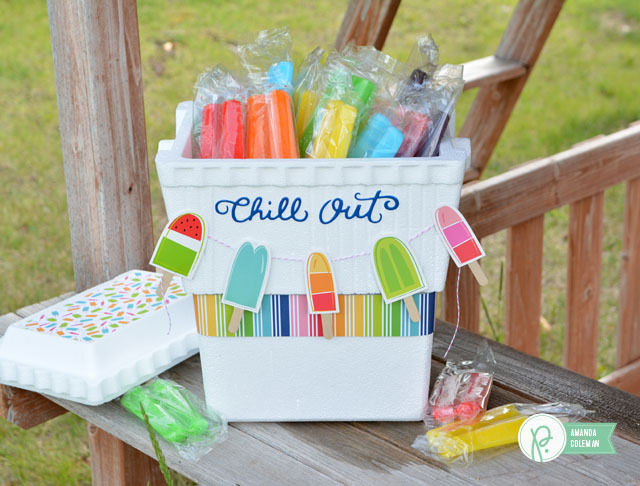 This cooler would be a fun way to display popsicles at a party or picnic. 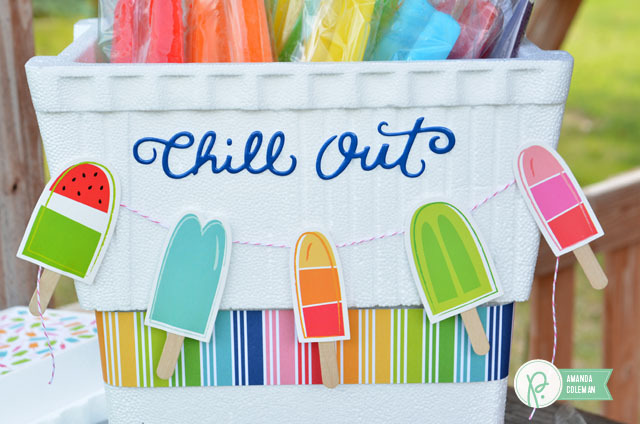 It would even make a fun gift for your favorite popsicle fan. Doesn’t this look yummy? I was just tickled that I was able to find rainbow colored popsicles at my local grocery store. 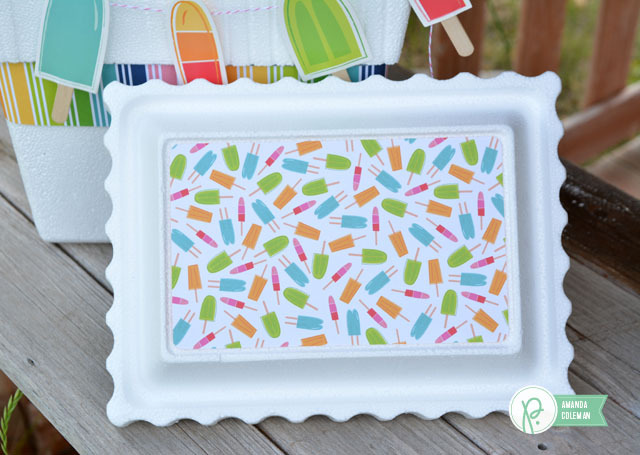 I couldn’t resist this darling popsicle paper so I created a cover for the top of the cooler. I cut the paper for the top of the cooler to size and rounded the corners with my Crop-A-Dile to make the corners fit perfectly. 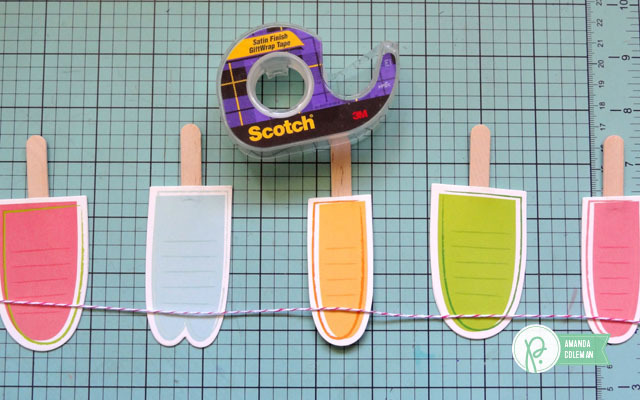 I made a cute little banner out of the popsicle cards. 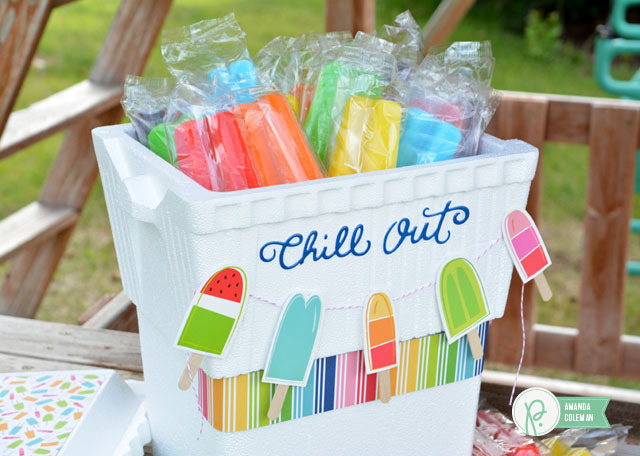 I super love that they have real popsicle sticks in them. I added a striped paper border to accent the banner and add a little more punch to the front of the cooler. Wanna know one of my dirty little crafty secrets? I use transparent tape all the time. It’s not fancy or magical or all the rage in adhesive technology, but it just plain works. 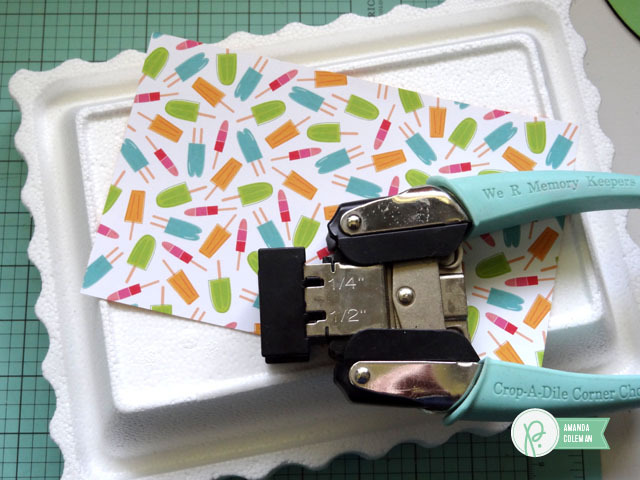 I adhered the popsicle cards to a piece of baker’s twine with tape. That’s it. And it works wonderfully.